Jennifer as Raven Darkholme / Mystique. . HD Wallpaper and background images in the Jennifer Lawrence club tagged: jennifer lawrence x-men: first class raven darkholme mystique. 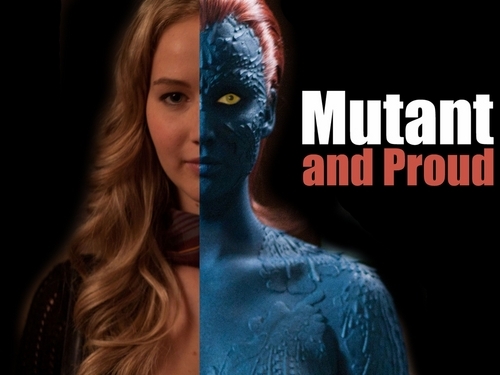 You know, Mystique, it's easy being proud when your mutation is transforming into whoever you like and your lifespan is exceptionally long. Hehehe, sorry.